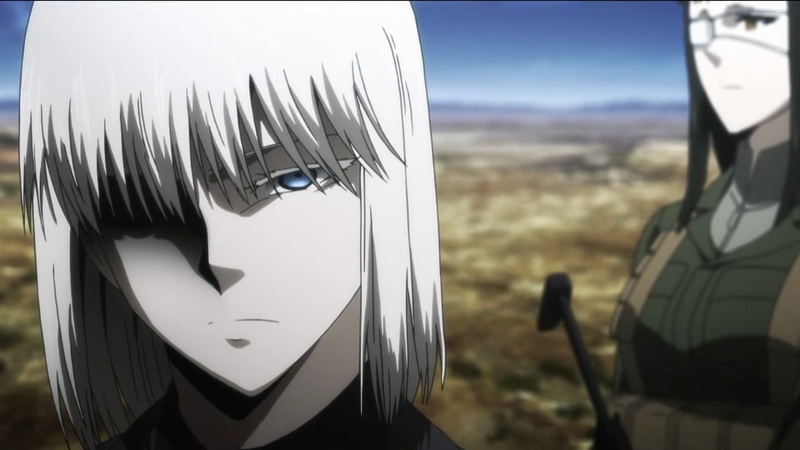 I Blog Anime: [Ended] Jormungand Perfect Order: Far-Fetched? As a shoot-'em-up style action anime, it sure has gotten a bit complicated in this second half of the story. Unlike Black Lagoon, where the biggest event involves nothing bigger than a third world country, Jormungand's stage is the entire world. While the first season looked somewhat of a small play of an international arms dealer, the second season suddenly upgraded to a conspiracy to literally dominate the world. The method it was using, in my opinion, is a bit far-fetched. But then, if you put it up against the psychopath twin kids assassins, it really isn't as far-fetched it seems.